When a death occurs, knowing how to comfort those left behind is not easy and sending funeral flowers can be sometimes even more difficult. What is appropriate as funeral wreaths to memorialize relatives, or people to whom you are not related or those you’ve not personally met, such as the wife or husband of someone you know. Anyone may send floral baskets or living plants or to the bereaved’s home or workplace. Family, or those who had a deeper, or formal relationship with the deceased can send floral wreaths, crosses, and sprays or sympathy baskets to the funeral home. Associations that would like to honour the deceased for service during their lifetime can also send floral wreaths, crosses, and sprays. A tastefully designed floral tribute adds beauty to any type of memorial service. It is common for the family to have an arrangement designed for display with the urn. 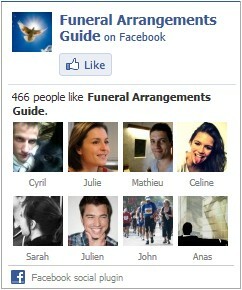 Because cremation is quite common in an increasing number of places, we may have specific suggestions. In the case of cremation, much depends on whether a funeral service is planned or a memorial service at the bereaved’s home, or if there will be no services at all. Generally It is always appropriate to send an all-occasion type floral basket arrangement. Some funeral homes will deliver plants or flowers to the bereaved’s home after the memorial services and others may require that the family take them home with them please ask the funeral home staff about their policy. Sending flowers in a glass vase to a funeral home is acceptable, however, some funeral homes have rules about certain types of funeral arrangements. If the arrangement you would like to send is anything outside the realm of traditional sympathy floral designs, please consult the funeral home concerning their policy on such arrangements before ordering. It is often a question whether it be all right to send flowers if the death notice requests a charitable donation, ‘in lieu of flowers’? One should make the contribution, however to send flowers at the funeral service adds warmth and life to a somber event and are a tangible tribute. 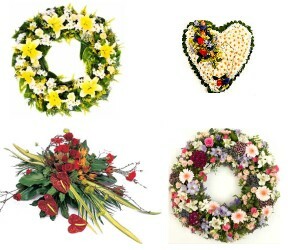 The flower wreaths seller you choose should have experience in providing funeral flower arrangements and be able to create and theme a unique floral tribute based on the life of your loved one and offer excellent advice and guidance as to what flowers and arrangements will be most suitable. The flower vendor should also be flexible in the delivery of your flowers and sensitive to the needs of the situation in terms of when, where and how the delivery will take place.